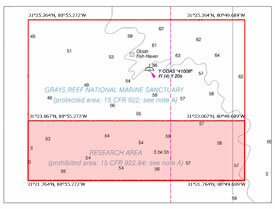 Under a new regulation that went into effect December 4th, 2011, the southern third of NOAA's 22-square-mile Gray's Reef National Marine Sanctuary is now a research area where scientists will be able to study the impact of human activities on the sanctuary's marine resources. Fishing and diving are prohibited in the research area off the Georgia coast, but vessels are allowed to travel across the area as long as they have their gear stowed properly and they don't stop. Roughly eight-square-miles and relatively free of human activity, the research area will allow scientists to design and implement habitat studies where critical variables can be controlled over long periods of time. The research area will serve as a place to study potential impacts from various activities on the sanctuary's natural resources, including bottom fishing, as well as a place to monitor and study impacts of climate change, and natural events such as hurricanes and droughts. "The new research area provides a great opportunity to advance our understanding of the ocean and help ensure that special places like Gray's Reef remain healthy for generations to come," said George Sedberry, superintendent, Gray's Reef National Marine Sanctuary. NOAA's Office of National Marine Sanctuaries received comments during a public comment period on the proposed research area from September to December 2010. 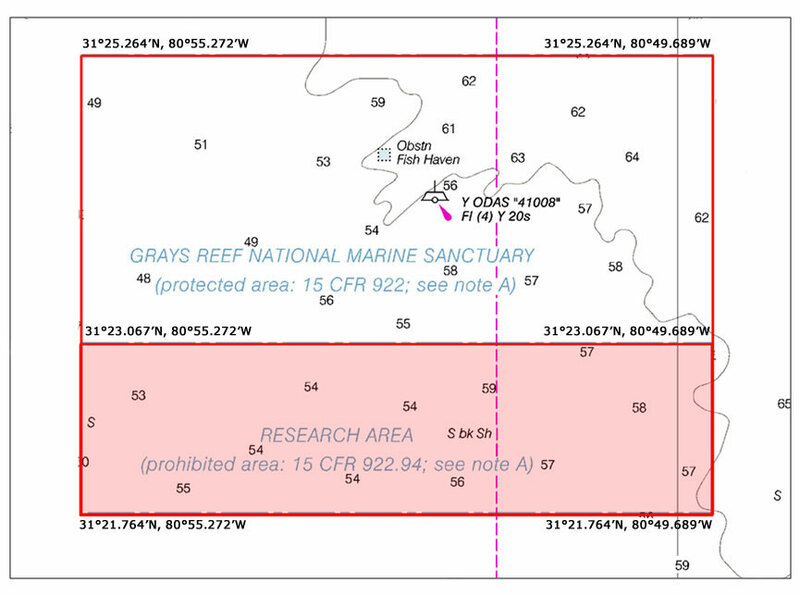 The boundary option chosen for the research area was favored by most sanctuary users and is expected to displace a minimal number of sanctuary visitors. Click here research area regulations. See page 63832 for a Summary of Revisions to the Sanctuary Regulations. Click here for Final Enviromental Impact Statement.